ArtBerlin > RÄUME. 49 ARTISTS. 7 DAYS. RÄUME. 49 ARTISTS. 7 DAYS. For 7 days with an opening reception on September 10th, 2016, the exhibition RÄUME will showcase the work of 49 artists in 49 rooms in a historical building in Kreuzberg. Berlin is getting more and more populated and so the architectural landscape is becoming more dense. The city’s signature “Zwischenräume” – spaces that were not used for a certain purpose but stayed opened for temporary use – have begun to disappear. It is a rare occasion to still find a building in the middle of Berlin that holds empty spaces, ready to be discovered and filled … with art. Absolutely temporary of course. 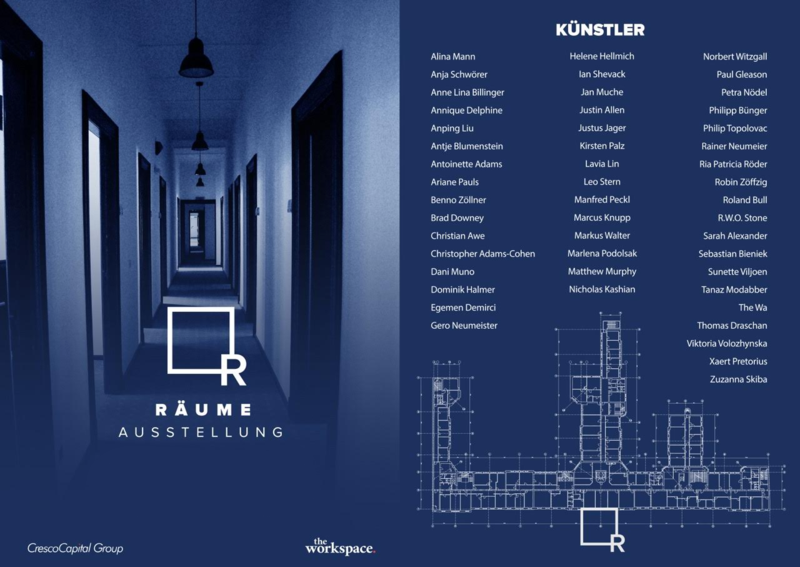 For seven days with an private opening reception on September 10th, 2016, the exhibition RÄUME will showcase the work of 49 artists. Each has been given his or her very own room in which to create and display their works. The exhibition is hosted by the workspace, one of Berlin’s most beautiful co-working spaces, which extends out from the exhibition floor. 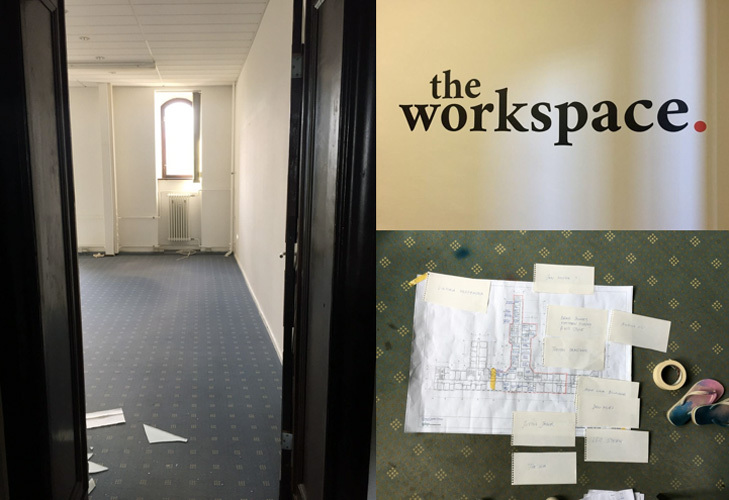 For more information: The Workspace. The building itself still wears the remnants of its original owner: 19th century insurance company “Victoria Versicherung”. The original rooms are covered in dated, blue carpet and illuminated with neon office lights. 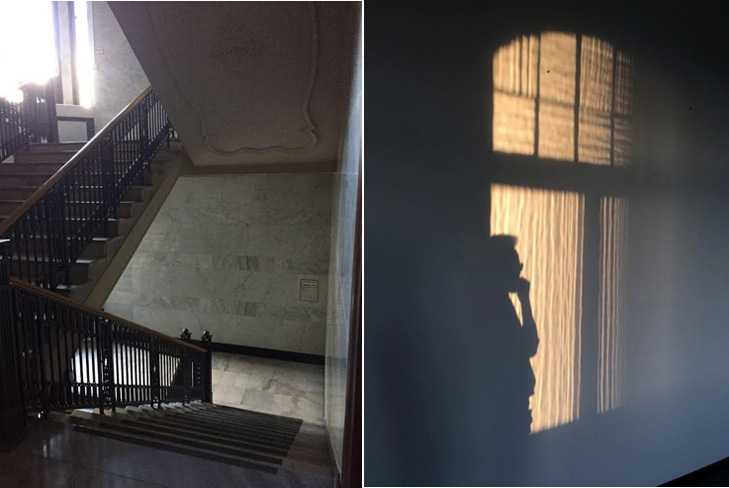 Architect Alina Mann has her artist studio in this building and, together with Julia Rost, gave birth to the idea to invite artist friends to exhibit within the empty rooms. Their idea soon took flight, with the workspace acting as a host and sponsor and, on September 10th, an impressive 49 artists from diverse international locations such as South-Africa, China and America, as well as out of Germany from Berlin, Hamburg, Stuttgart, Leipzig and Heidelberg will open their artwork for invited guests. They were totally free in their choice of media and topic, so expect to encounter very diverse and personal artworks ranging from drawing and painting, to installation, video and performance art. RÄUME is meant as the first edition of a series of art events that will be organized by Alina Mann and Julia Rost in the future.